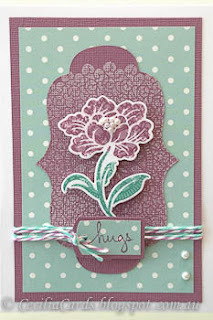 Shari Carroll demonstrated 'Velveteen Stamping' on the Hero Arts website a few weeks ago and now everyone is trying it with some wonderful results. 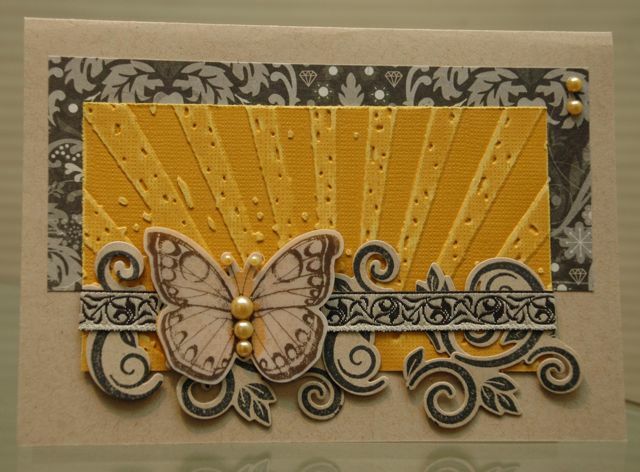 I've tried this on two different backgrounds, white and kraft and the results are quite different. 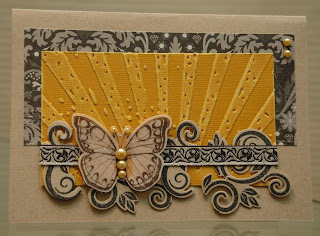 The first one was done on a white background using the HA Floral Framelits with the Tim Holtz Styled Label die. I used Seedless Preserve and Pine Needles distress ink on the flower and the HA Starburst stamp in the background. The sentiment is from Darkroom Door Stringed Sentiments and the twine from The Twinery. The second card was done on kraft using two Distress ink colours (Seedless Preserve and Victorian Velvet) to create a background pattern and edged with Gathered Twigs. The stamps are HA/BG Sweet Threads Antique and Sweet Threads Thank You. 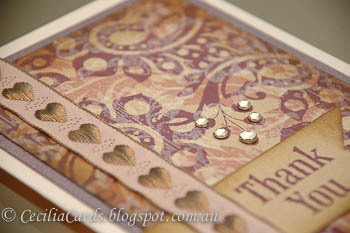 A close up of the Velveteen effect on the card. Another challenge this week after setting up the Blogspot. I wanted to participate in the CR84FN50 challenge with Pink, Orange and Yellow. 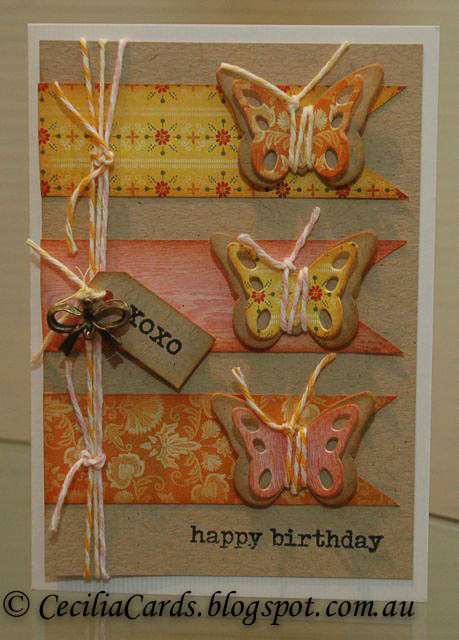 I was waiting for my new MFT butterfly dies for this card as I thought it would be really pretty to have the three different coloured butterflies. 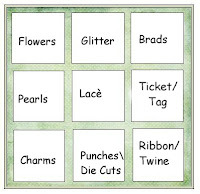 I then saw the Simon Says Stamp Challenge this week with the Bingo challenge and I decided to combine both into the same challenge. 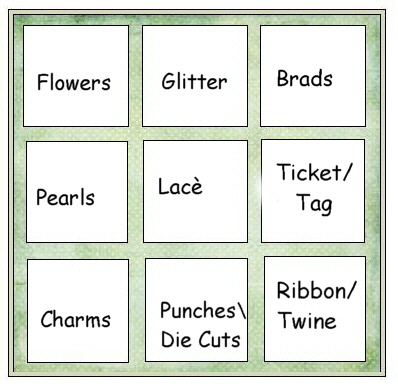 I decided to pick Charms/Die Cuts/Twine. I've been using the coloured twine that I ordered from The Twinery with most of the cards I have made recently - love them!! 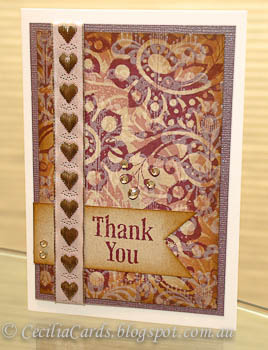 I also used the lovely patterned papers from Basic Grey Picadilly collection. Welcome to my new blogging space where I can share my creative journey with fellow bloggers around the world. 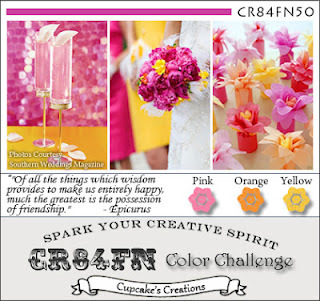 I was very excited to be picked as the Terrific Top Three in the recent CR84FN49 challenge using the CardPatterns Sketch 154. I have no one to share the news with, so that is why I wanted to start blogging! I have only just started entering my cards in online challenges and found them fun as well as challenging. So onto my next challenge. I made this card last week for the MFTWSC63 sketch challenge. 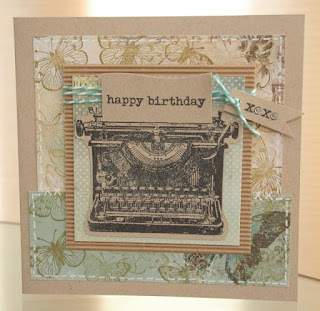 I had to wait for my new Typewriter stamp and die to arrive before I could get going with the card. Once I started, it was so easy! 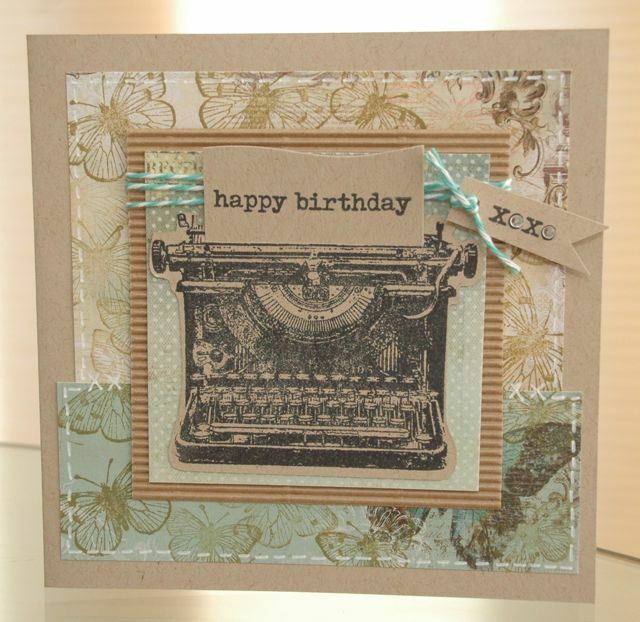 I love the old vintage typewriter and also the fonts on this stamp set! I am still a novice at this and will be constantly tweaking until I am happy with the result. Thank you for stopping by!